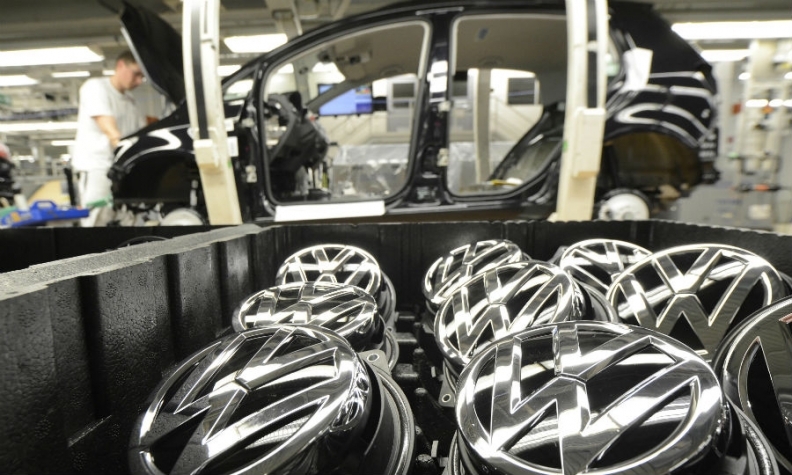 WOLFSBURG, Germany -- Volkswagen Group's core brand raised its midterm outlook for profitability on cost cuts and a planned rollout of higher-margin models, and expects deliveries to hit a new record this year. VW's namesake brand on Thursday said it expects the operating profit margin to climb to between 4 and 5 percent by 2020, after previously guiding for that benchmark to hit 4 percent or more at the end of the decade. The automaker plans to increase the share of SUVs it sells to about 40 percent of overall registrations by 2020, up from 14 percent currently. Persistent demand for SUVs will help VW brand this year to beat the 2016 sales record of 5.99 million cars, the automaker said without being more specific. Ten-month sales were up more than 3 percent at 5.04 million. The VW brand, which has been undergoing heavy restructuring for about a year, said it has kept fixed costs broadly stable this year despite growing spending on model launches. The company said it will realize 3,800 job cuts in Germany by the end of 2017, a year after it agreed with unions to slash 23,000 positions via natural attrition by 2020. "We have completed the first five kilometers of a marathon," VW brand CEO Herbert Diess said. "We are all aware of the challenges that lie ahead of us."